The Body Shop at 40: Enrich Not Exploit + New Products to Love! I have always loved The Body Shop ever since I discovered their Born Lippy Raspberry Lip Balm years and years ago. I was so obsessed with it! But over the years, I've discovered much more than that balm, more than their thousand amazing products, I discovered hope. :) The Body Shop has always been consistent in offering top quality beauty & skin care products, and they've always been consistent in their pledge to saving the world, helping people & being cruelty-free while doing that. Truly Beauty with a Heart. Sweet Corn Potage - so good! Now back to the event! Table setting! Wondered what these are. Hehe. 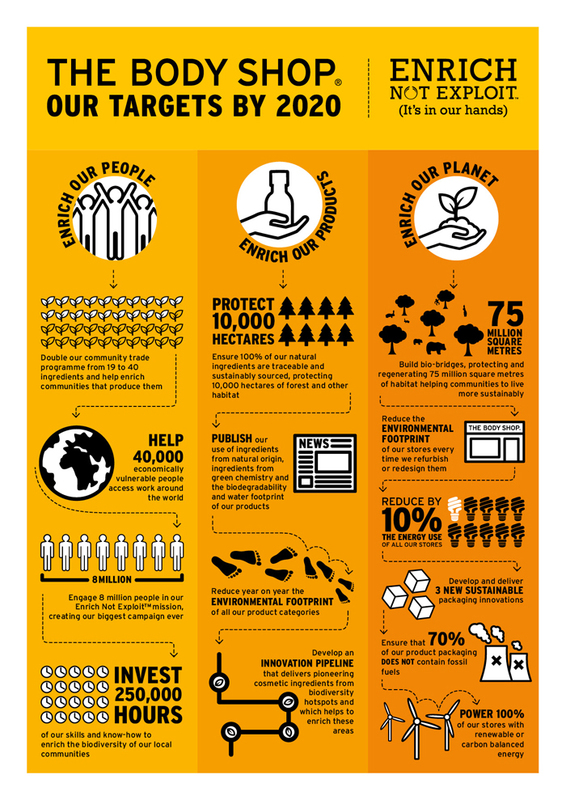 The Commitment will enable The Body Shop to protect and nurture the environment and society across every part of its business: ingredients, products, packaging, stores, employees, suppliers and campaigns. They have specific & measurable targets by 2020 for each of The Commitment's three pillars: enrich our people, enrich our products and enrich our planet. 1. 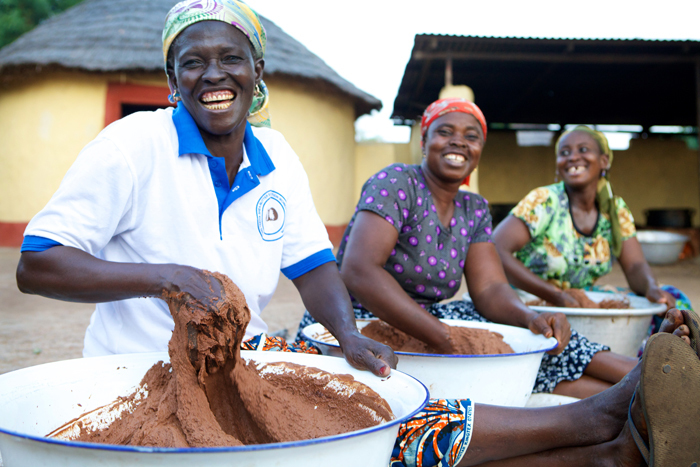 Double our Community Trade programme from 19 to 40 ingredients and help enrich communities that produce them. 2. Help 40,000 economically vulnerable people access work around the world. 3. Engage 8 million people in our Enrich Not Exploit™ Commitment mission, creating our biggest campaign ever. 4. Invest 250,000 hours of our skills and know-how to enrich the biodiversity of our local communities. 5. Ensure 100% of our natural ingredients are traceable and sustainably sourced, protecting 10,000 hectares of forest and other habitat. 6. Reduce year on year the environmental footprint of all our product categories. 7. Publish our use of ingredients of natural origin, ingredients from green chemistry, and the biodegradability and water footprint of our products. 8. Develop an innovation pipeline that delivers pioneering cosmetic ingredients from biodiversity hotspots and which helps to enrich these areas. 10. Reduce the environmental footprint of our stores every time we refurbish or redesign them. 11. Develop and deliver three new sustainable packaging innovations. 12. Ensure that 70% of our total product packaging does not contain fossil fuels. 13. Power 100% of our stores with renewable or carbon balanced energy. 14. Reduce by 10% the energy use of all our stores every year. “Our new global Commitment, Enrich Not Exploit™, provides an opportunity for The Body Shop Philippines to be the most ethical and sustainable beauty brand in the country. It also gives us an opportunity to build a stronger community of socially aware employees and consumers. We have never been more excited to be part of a milestone that will strengthen our continuous fight for cruelty-free Beauty, producing products while aiding in the preservation of our environment and creating livelihood. “ – Cecille Marie Chua-Uy, General Manager, The Body Shop Philippines. In line with their commitment, TBS invited Engineer Aisa Mejiano of Salt.ph to share with us her story on how and why (climate change) she invented Sustainable Alternative Lighting through SALT lamps -- sustainable and cost effective ecologically designed lamp powered by tap water and table salt! She, along with the SALT team, travel around the country targeting communities which has no electricity. They go to them and teach them how to create lamps made from saline solution or saltwater. These lamps could last for years! Do you know that there are more or less 1.4 billion people who has no access to basic necessities such as electricity & light? These lamps are more cost-effective and environmental-friendly. She said, "This isn't just a product, it's a social movement". So inspiring. Her project even caught the attention of Alibaba Chairman Jack Ma & President Barack Obama last APEC Summit! Testing the Drops of Light. Smells so good! 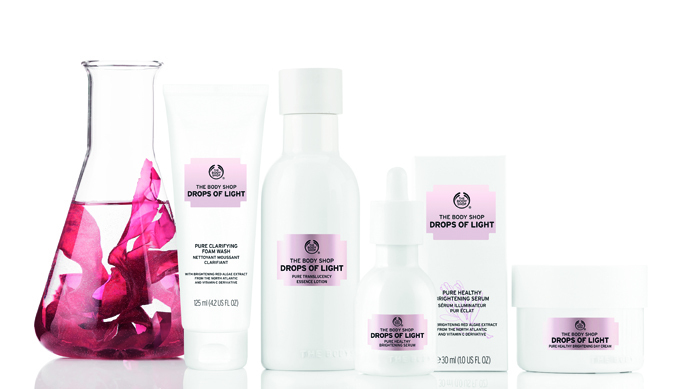 The NEW Drops of Light™ Pure Healthy Brightening Range has red algae extract that helps to achieve multiple dimensions of brighter, healthy-looking skin. Brighter skin isn’t only about reducing dark spots, which is why they created a 5‑in‑1 formula to improve healthy brightness, translucency, even tone, minimize the appearance of pores, while leaving skin feeling smooth and supple. 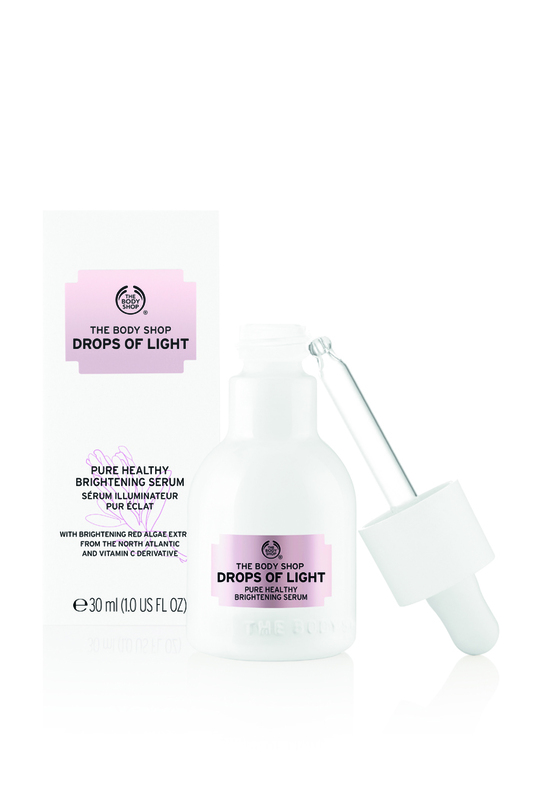 The Drops of Light™ range is made with the finest raw ingredients that are sourced from around the globe. They harness the skills of artisan farmers and add their expertise to create these effective products that are efficacious to use. 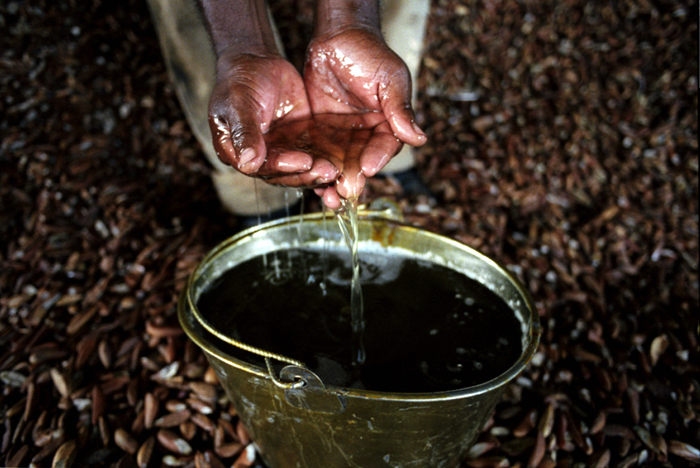 Community Trade marula oil from Namibia is used in their Purifying Foam and Community Trade aloe vera from Mexico is used in the Essence Lotion and Serum. Have to buy this one! In‑vitro studies have shown that red algae extract has a brightening and anti‑dark spots action by inhibiting key stages of the pigmentation process and even after melanin has been produced. It is proven to: Limit the process of melanin production by inhibiting the activity of tyrosinase, a key enzyme involved in melanin production, limit the transport and accumulation of melanosomes to prevent dark spots from appearing on the surface of the skin & limit pigmentation induced by UV exposure. Replenish and illuminate skin with this lightweight, fast‑absorbing, non‑sticky serum. It glides effortlessly to deliver efficient brightening whilst leaving skin feeling instantly supple and hydrated..After 4 weeks skin imperfections and yellowness are reduced, pores look minimized and skin looks brighter and more translucent. Nourish skin with this highly moisturising day cream. Its silky texture melts onto your skin and is clinically proven to significantly reduce the number, size and intensity of dark spots while delivering 24H hydration. Instantly skin texture is smoother, softer and re‑plumped with moisture. After 4 weeks skin is brighter, looks healthier, more even toned and clarified. Cleanse and clarify your complexion morning and night with this rich, creamy foam wash.
Hydrate and enhance translucency morning and night. The first essential step after cleansing, this refreshing gel‑to‑water texture boosts hydration and activates skin for the next step of your skincare regime. 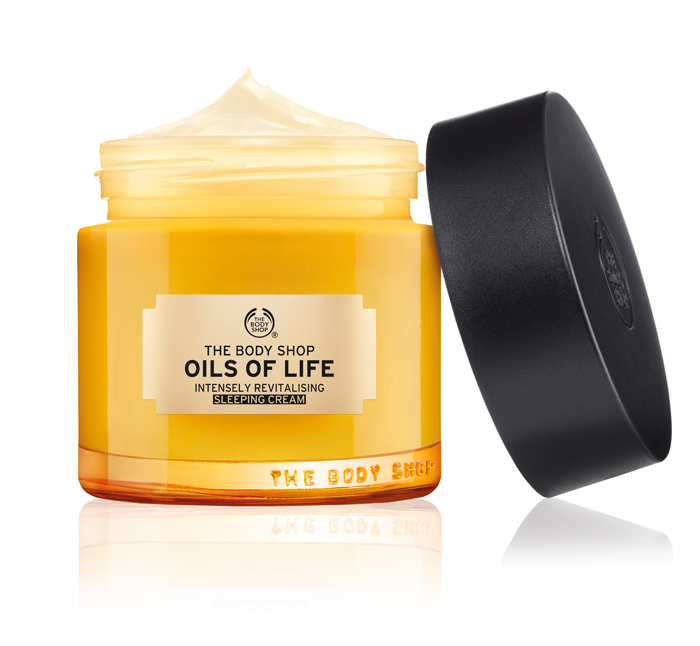 Oils of Life Sleeping Cream instantly revitalizes your skin while you sleep! Been using this for weeks now, and just like my Drops of Light serum, I love it! This product contains a powerful blend of 3 precious seed oils & 7 essential oils. WOOW. It's consistency is like butter, and when applied it spreads easily on the face and it does not feel "heavy". Smells like a dream too! Aside from the sleeping cream, this line also have the Intensely Revitalising Essence Lotion & Intensely Revitalising Facial Oil. Will try these two next time! The Body Shop searched the world and selected 3 precious seed oils known for their supreme revitalizing & repairing properties on the skin--- Black Cumin from Egypt known for its concentration of anti-oxidants, Rosehip from Chile which repairs Omega 3 & 6 and Camellia from China which is rich in nutritive oleic acid. Your choice of Oils of Life™ skincare helps TBS achieve their aim of planting 1 million seeds in Cerro Blanco, Ecuador, in association with World Land Trust. Local communities will continue to protect biodiversity by enhancing the growth of healthy native trees. Face masks to try! Heard a lot of good things about these. Their 2-in-1 Brow definer is now available in stores! 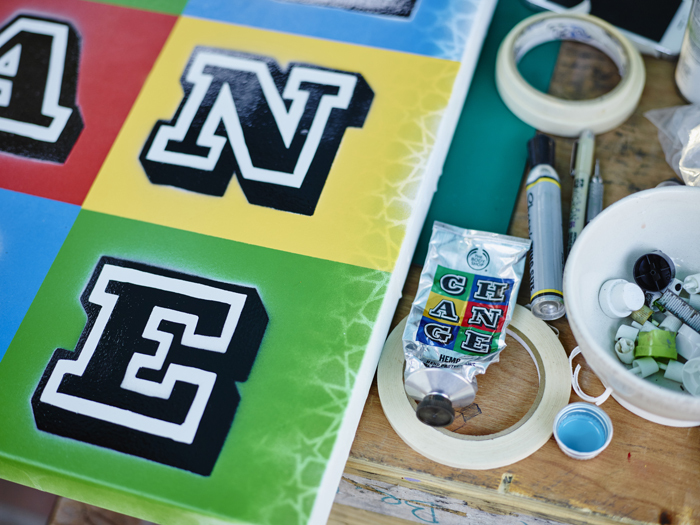 The iconic Almond Hand & Nail Cream by The Body Shop gets a bold NEW limited-edition packaging re-design by one of the world’s most renowned street artists - EINE. 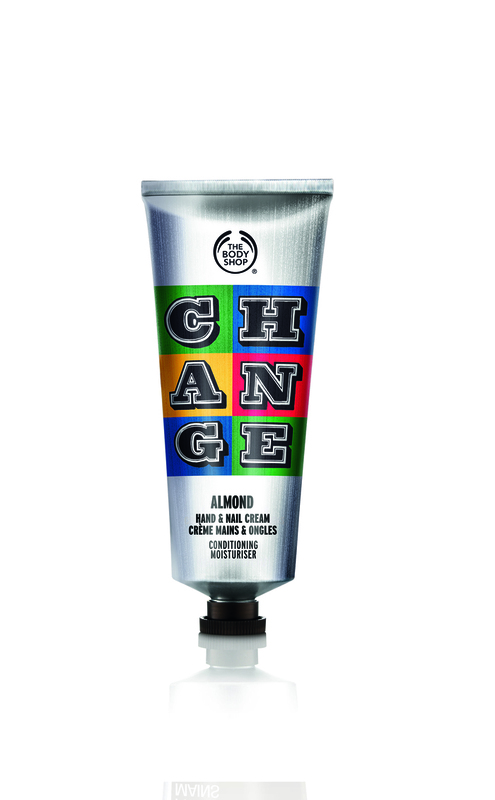 Using EINE’s famous typography, our Almond Hand & Nail Cream communicates the positive and powerful message CHANGE. Evocative of The Body Shop mission to make a positive difference in people’s lives on a worldwide scale, it truly puts the power to change in the palm of your hands. For every Limited-Edition Almond Hand & Nail Cream purchased, £1.50 will be donated to The Body Shop Foundation, the charitable arm of The Body Shop International. Your donation will support the Foundation’s goal of raising £300,000* to protect and enrich the planet, the oceans or animals and people. And how the money is split is up to you as every purchase you make gives you the ability to vote for the cause closest to your heart.